New zoning regulations for group homes that were passed Tuesday by the City Council will not have an impact on the RISE Project at 6 State St.
WESTBROOK — The proverbial barn door may be closing, but some State Street residents and councilors aired a stable of gripes Monday night about a new group home. By a unanimous vote, with Council President Brendan Reilly and Councilor Gary Rairdon absent, the council approved new zoning definitions covering group and boarding homes. 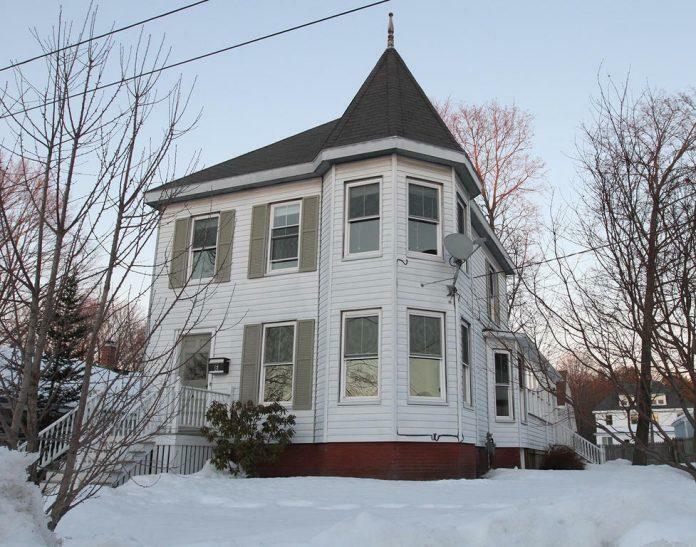 Those changes are very unlikely to prevent the opening of a group home at 6 State St. that will enable former residents of the Long Creek Youth Center in South Portland to begin a transition to life outside incarceration. Councilors were voting only on the new definitions of group and boarding homes that would along be allowed along the City Center District, essentially along Main Street. Director of Planning and Code Enforcement Jennie Franceschi said she and staff began developing the revisions after her office was approached by the Opportunity Alliance and state Department of Corrections about creating a new kind of group home in the city, called RISE Project. She noted city police also began working with the agencies shortly after learning there was a purchase and sales agreement for the State Street home. At this point, the only way in which that group home might not be opened would be code violations from an inspection that could hold up issuing an occupancy permit, city attorney Natalie Burns said. The new definitions and text for group and boarding homes was needed because there was no regulation for them in existing codes, and city staff had to view the group home as a single family residence. Such a home would now be considered a “Community-Based Residential Facility,” and opening one requires Planning Board review. The RISE Project is essentially a pilot program allowing as many as six men ages 18 to 21 to live the residence while working. The potential residents must apply for the program and have completed their high school education. Convictions for arson or sexual violence are disqualifications. Residents would live at the home for the last six months of their sentences. Opportunity Alliance hosted a March 21 community meeting and April 1 open house to detail the concept allowing offenders a chance to learn life skills in a residential setting, and another community meeting will be held at 6 p.m. Tuesday, April 11 at the Westbrook Police Department. The RISE Project will be staffed by three Opportunity Alliance employees, with state probation officers also checking on residents and a city police liaison monitoring the home. The residual unhappiness at how neighbors were informed of the RISE Project and its potential effects spilled out again Tuesday during two sessions of public comment. “I don’t think it was well planned by the Opportunity Alliance and Department of Corrections to locate this here. We feel like we were just slapped,” said 20 State St. resident Matt Barker. Barker said he wanted more information on how Opportunity Alliance and the DOC would measure the success of the RISE Project, while still supporting its premise. Mike Fusco, a resident of 18 State St. for 34 years, said he did not see a justified need for the home in the neighborhood. He said he could be friendly with residents who were well-behaved, but the potential problems could affect quality of life. Councilor Lynda Adams sympathized with the neighbors. “If I knew this was opening in my neighborhood, I would want to speak out, too. It seems like it is out of our control at this point,” she said. No opening date has been set for the group home.